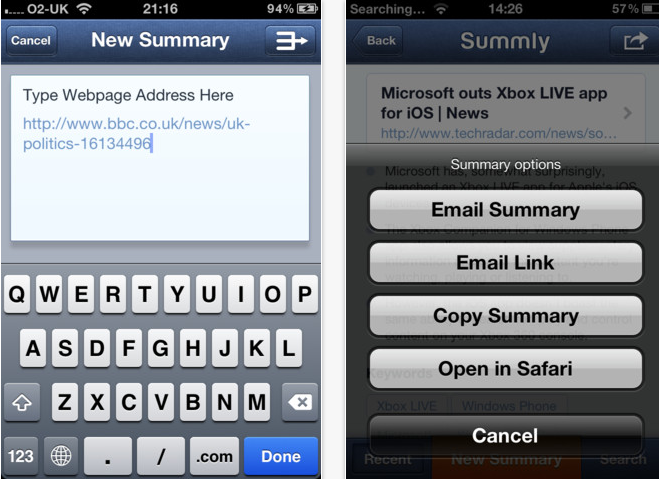 Launching today on the App Store is a new application called Summly that, in short, attempts to summarize the Web. The app was formerly known as Trimit (which we covered back in July), before Founder (and 16-year-old programmer) Nick D’Aloisio raised a seed round from billionaire Hong Kong investor Li Ka-shing and his investment vehicle, Horizons Ventures. So what is this Summly app that everyone’s so excited about? Well, in July, I wrote that the value proposition for Trimit was that its web and iOS apps allowed you “to condense content into 1,000, 500, or 140-character summaries. Essentially, Trimit was a text auto summarizer designed to fit all those things you’re reading on a mobile device into concise synopses and share those over SMS, email, Facebook, Twitter in .txt form — all with a few clicks”. Today, the guy that Om calls “the Internet’s new boy genius” has used his new money to enlist the service of veteran programmers to built out the initial architecture around his genetic programming and AI-based tool that he says, “mimics evolution”. It does this because, as the 16-year-old says, the Web is overloaded with content (I like to think I’ve in some small way contributed to that), so Summly offers the world a simpler browsing and search experience by summarizing content into bite-sized chunks to make it easier to consume. And it seems to be working. Researchers at MIT, D’Aloisio tells us, have tested Summly’s patent-pending technology and have found that it outperforms the “highest academically published results” by a factor of 30 percent. Why? According to the founder, Summly’s algorithm is able to instantly analyze text and automatically distill it into digestible chunks, doing so as you browse and surf the Web, providing succinct summaries of search results, articles, and Web pages. D’Aloisio was a little more hesitant this time around to discuss the secret sauce that makes his new app tick, but for a glimpse, see our previous post on Trimit to get a sense of what’s behind the app — and how it works in practice. For more, check out Summly on the App Store here.